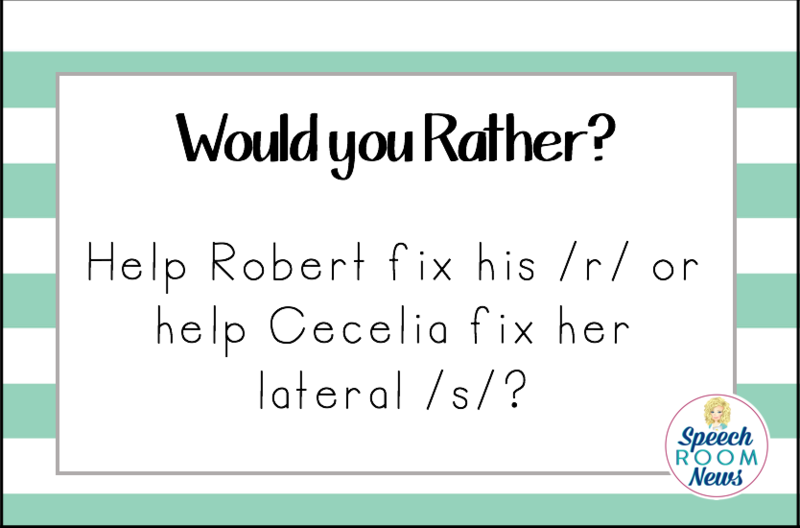 Would You Rather? 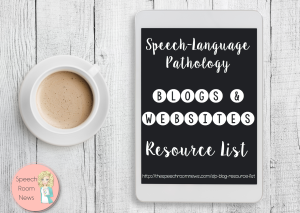 ….. SLP EDITION! 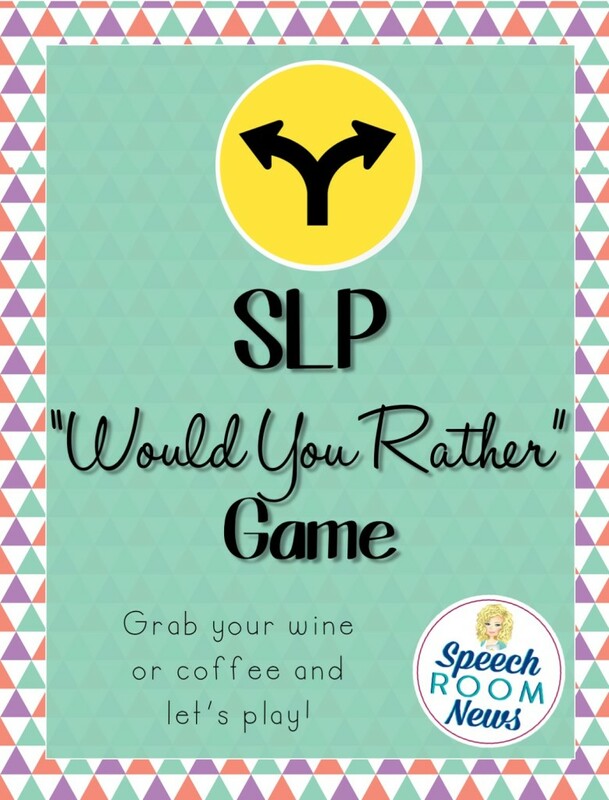 Grab your SLP friends, a beverage, and print out this set of game cards. Then let it rip! 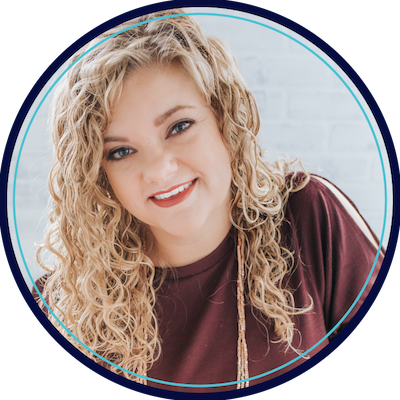 I think it’s perfect to play at your back to school get together, retirement parties, or just after a long hard week at work. Umm. 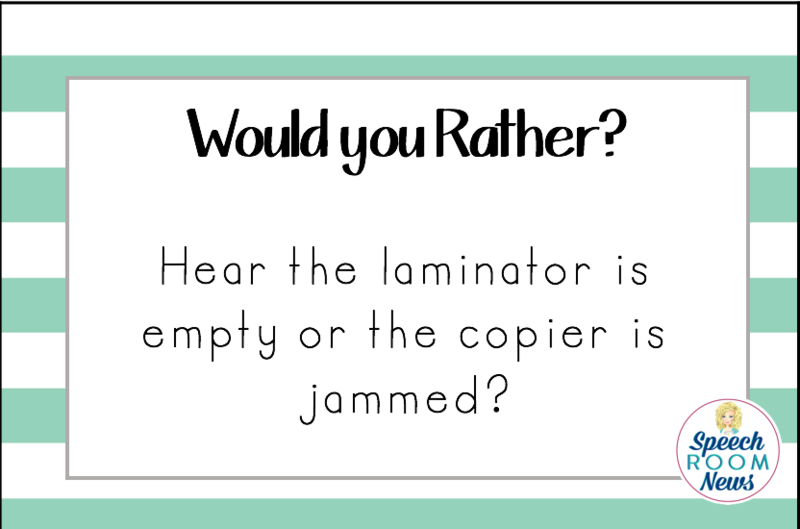 I have a back-up laminator in my office, so I pick the laminator. I can’t live without the copier. No. Please, don’t make me. Seriously. Ok, fine. I’ll help Cecelia. Dear GFTA-2. You’ll haunt my dream forever. 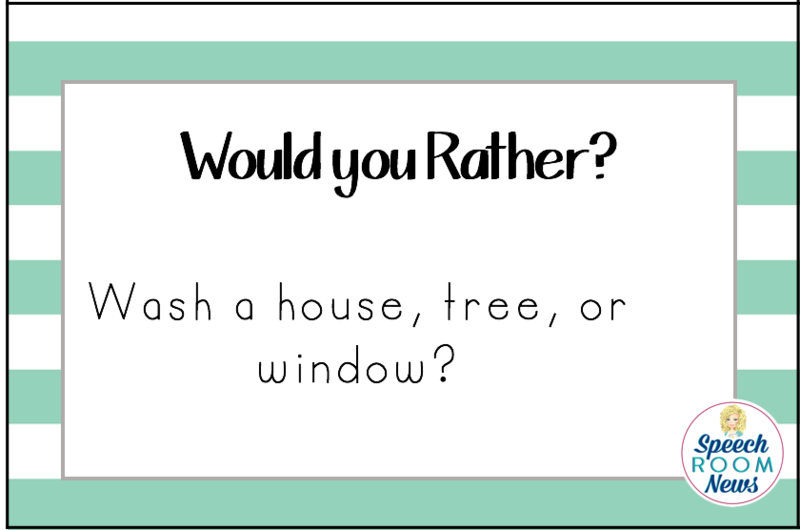 I would rather wash a tree, because washing windows is THE WORST. Ok, fun right? 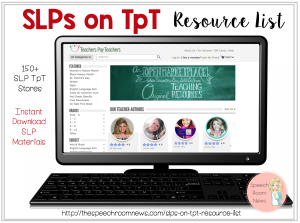 Go download the freebie in my TpT store and have some fun. And PRETTY PLEASE, come back here and leave me a comment with your own fun scenarios. Ready, GO! So fun for BHSM or retirement parties!